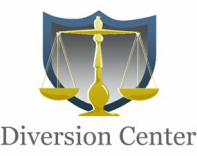 We provide court and probation ordered mental health and psychological evaluations at our marietta office. Anger Management and alcohol and drug evaluations are also available. We evaluate personal history, work history, attitude, emotional stability, criminal history and alcohol /drug use through personal interview and assessment tools. Your counselor will discuss the results of the evaluation with you, and based on the findings, recommend a course of action. Assessments are available to residents of Acworth, Athens, Alpharetta, Atlanta, Bainbridge, Braselton, Buford, Commerce, Conyers, Covington, Dalton, Decatur, Duluth, Dunwoody, Garden City, Hampton, Kennesaw, Lawrenceville, Locust Grove, Loganville, Mableton, Marietta, Norcross, Peachtree City, Powder Springs, Riceboro, Roswell, Sandy Springs, Smyrna, Statesboro, Stone Mountain, and Suwanee.